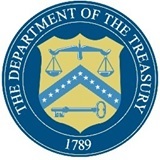 Washington – (RealEstateRama) — U.S. Treasury Secretary Steven T. Mnuchin issued the statement below commending the efforts of mortgage lenders, mortgage servicers, and other financial institutions that are working to assist those who may face financial hardships resulting from the federal government shutdown. The ongoing shutdown has required many federal agencies to furlough some employees, and also affects government contractors, vendors, and others who provide services to the federal government. Many of these individuals nonetheless need to make payments on mortgages and other obligations.